According to a recent assessment unveiled by UNESCO, World Heritage coral reefs, which include the Belize barrier reef system — still on the list of World Heritage sites in danger — are likely to disappear by 2100 unless carbon dioxide (CO2) emissions are drastically reduced. Countries with responsibility over World Heritage-listed coral reefs should adopt ambitious climate change targets, aiming to cut greenhouse gas emissions to levels that would keep global temperature increases to just 1.5°C, said UNESCO’s World Heritage Centre (WHC), a UN agency responsible for overseeing World Heritage sites. 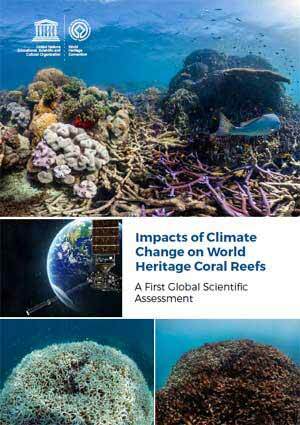 The WHC released the first global scientific assessment of climate change impacts on World Heritage coral reefs, highlighting the devastating outcomes that are likely to arise due to escalating ocean temperatures. In the past three years alone, soaring ocean temperatures have subjected 21 of 29 World Heritage reefs to severe and/or repeated heat stress, and caused some of the worst bleaching ever observed at iconic sites like the Great Barrier Reef (Australia), Papahânaumokuâkea (USA), the Lagoons of New Caledonia (France) and Aldabra Atoll (Seychelles). Belize was among these adversely impacted places, and furthermore, in just about a decade, it is projected that it could be adversely impacted again by severe heat stress. “The analysis predicts that all 29 coral-containing World Heritage sites would cease to exist as functioning coral reef ecosystems by the end of this century under a business-as-usual emissions scenario,” said UNESCO’s WHC in discussing the report. “The 29 globally significant coral reefs on UNESCO’s World Heritage List are facing existential threats, and their loss would be devastating ecologically and economically,” Dr. Mechtild Rossler, Director of the World Heritage Centre, is quoted as saying. “These rainforests of the sea protect coastal communities from flooding and erosion, sustain fishing and tourism businesses, and host a stunning array of marine life,” Rossler explained. The Belize Barrier Reef system is both economically and ecologically invaluable, and it is prized as an underpinning resource for two of the country’s economic pillars: fisheries and tourism. Furthermore, it has provided protection for the country in buffering the adverse impacts of extreme weather events, such as hurricanes. The Belize Barrier Reef system is a phenomenal natural asset, the largest such reef system in this Western Hemisphere, and the biggest portion of what is described as the Meso-American Reef System.